When our dental and dental hygiene students graduate from the West Virginia University School of Dentistry, they have already mastered caring for patients with modernized treatment materials, advanced appliances and leading edge technology. The School of Dentistry’s Dr. W. Robert Biddington Center for Dental Innovation is a progressive, 2,239 square foot, learning environment. Its five operatories are equipped with the most recent adaptations of equipment utilized in clinics and private practice nationally and internationally. WVU Dental School students use the latest technology from a variety of manufacturers in the new Dental Innovation Center, thanks to a partnership with CRET. 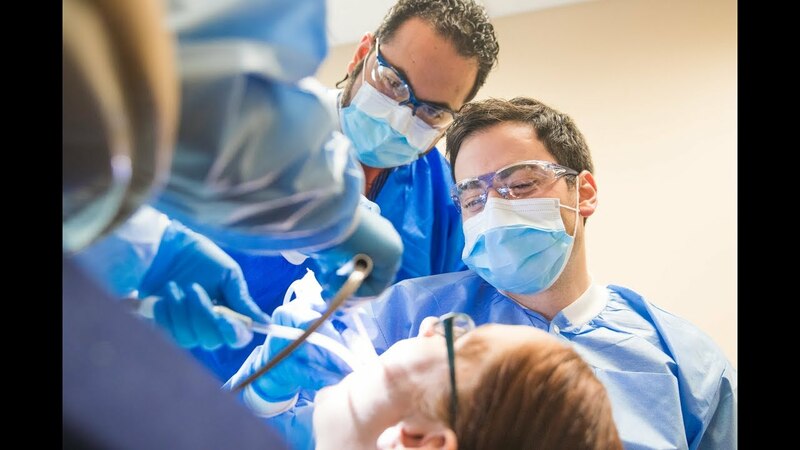 The distinct clinical training and treatment facility sets the standard for dentistry education in the United States and Canada. Through a partnership with the Center for Research and Education in Technology, Inc (CRET), the WVU School of Dentistry has access to recently developed furnishings and patient care devices from more than 25 product suppliers and manufacturing companies. Each fourth year dental student spends a two week rotation in the Biddington Center for Dental Innovation, named for dental school’s longest serving dean. Here, dental and dental hygiene students have multiple options allowing them to identify the best and most individualized treatment plan for their patients. When the WVU School of Dentistry innovation center opened, it was the only center of its kind on the east coast and one of just three in existence.